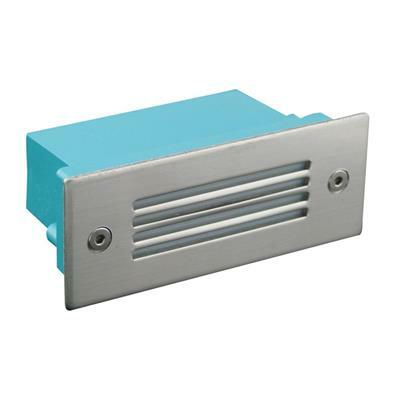 1W mini rectangle recessed LED step light. IP54. Die-cast aluminium body, stainless steel grille fascia. Ideal for subtle low level floor / path lighting. 240V wiring. Non-dimmable.